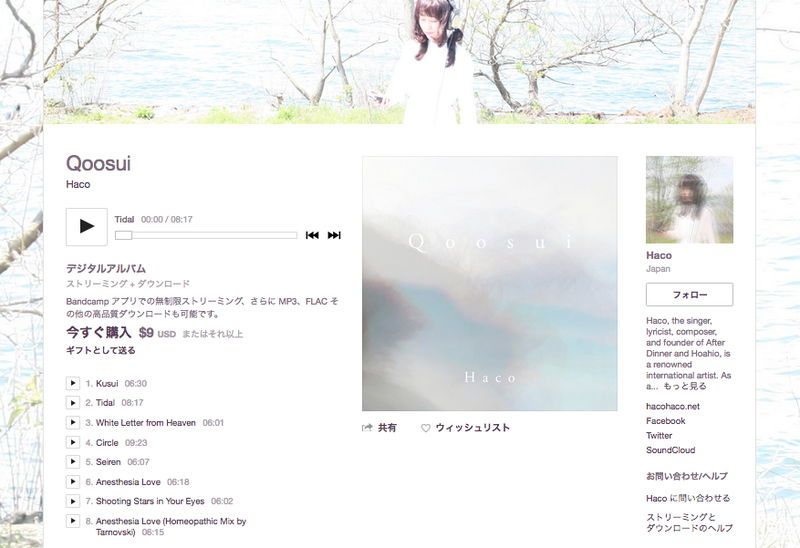 The new full album, QOOSUI【edition/ +1 bonus track】 is available NOW on Haco's Bandcamp! This is a high-quality DIGITAL release, including the track "Anesthesia Love (Homeopathic Mix by Tarnovski", the complete lyrics (EN/JP), and credits. Digital reissue of Haco's previous albums and the new live edition will be available on this Bandcamp, in the near future (the plan). Bookmark it! A free download album, which is compiled from tracks Gallery Six and Stabilo contributed for "Qoosui", is now published.